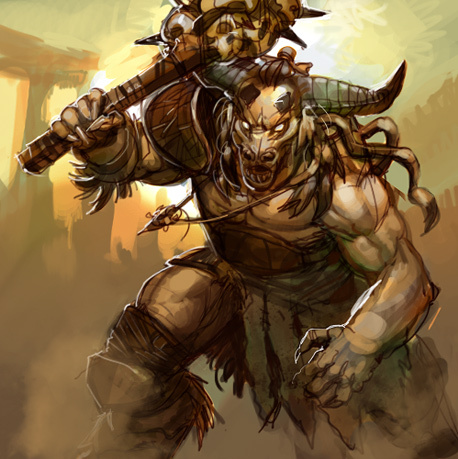 Karn, The Minotaur is a Quest Mini-Boss found in the Land of Earth. You can only summon him once. He will appear on the map once you have Level 1 100% Influence on the The Forbidden Forest main quest. You will also need at least 20 Army members or pay 30 Favor Points to unlock the battle.